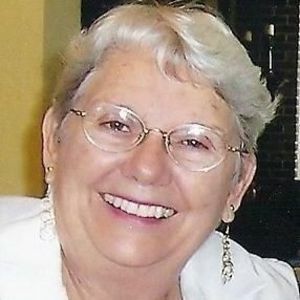 Anita Farley, age 73, of Dunnellon, FL, went to be with her Lord on March 16, 2012. Born in St. Petersburg, FL, she lived in Lehigh Acres for over twenty years where she and her husband Joe owned and operated the Farley Funeral Home, until their retirement in 1986. She was most successful in, and proud of, her primary role as a wife and mother, but also made time to serve her community. Anita actively served as president for the Lehigh Acres Jr. Women's Club, in Girl Scouts, Riverdale Band Boosters and as a member of the Christ United Methodist Church. She also spearheaded the Alva Middle School Restoration Project. In retirement, she and Joe became involved in the Everglades Florida Unit of Wally Byam Caravan Club International (WBCCI). They traveled the world as caravan staff for many years. After settling in Dunnellon in 1991, Anita was an active member of the First United Methodist Church of Dunnellon and the Florida Springs Unit of WBCCI. Anita is survived by her husband of 56 years, Joseph; daughters Joanne Bryant (David), Susie Prescott (Tim), and LeaAnne Werder (Bruce); sister Eva Gosford (Bob); granddaughters Lauren Bryant, Kendall Ragans, and Kaley Werder; grandsons Derek Bryant, Kam Werder (Josephine), Taylor Ragans, and J.P. Prescott. Anita was eagerly awaiting the arrival of her first great grandchild in May. The beautiful and interactive Eternal Tribute tells Anita's life story the way it deserves to be told in words, pictures and video. Susie I am so sorry for your loss. I know you will miss your mother everyday. She was a such a kind and loving woman. Your mom and dad were both so kind to my family when I lost my sister. I'm thinking of you and your family and pray that your memories of your mom get you through the tough times. We are so saddened to hear of Anita's passing . She was a wonderful lady and we will miss her so . Our prayers are with Joe and his family at this time of suffering . We will always remember Anita's great attitude and exciting personality . She looked so happy at the Sarasota rally . May God bless and keep you Joe . We love you . Joe and family. Deepest synpathies are extended to you all. We believe that Anita is with God and out of pain. Our thoughts and praayers are with you at this difficult time. As part of Susie's pastoral care family at St. Joseph's Hospital, I send love and prayers to all of you in your loss. May you feel God's loving arms around you as you go through the rituals of today and tomorrow - and as you move forward in a new chapter. Thank you Aunt Anita for inspiring me to make the world a better place. Your strong sense of justice (and resulting flurry of letters) led me to do the same. Bless us all and help us remember that your smile and laugh resonate in each of us today and eternally. My thoughts and prayers are with all of you during this sad time. I will never forget how compassionate you were and how you helped me in my time of needs many many years ago. You were all wonderful and I especially remember how nice and sweet Anita was both to me and my sister. I know how much she will be missed. My condolences to you all..
Anita was a great caring person and everyone who knew her loved her. So sad to have her gone. She will be remembered always.